The five-story Campus Vue will feature a parking garage, swimming pool, fitness room and fifth-floor overlook of the university campus. 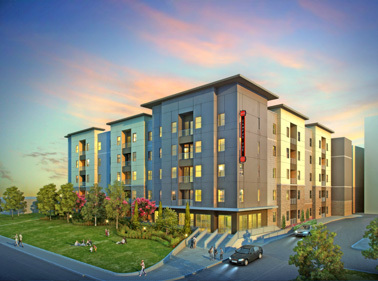 HOUSTON -- Fountain Residential Partners has broken ground on Campus Vue, a 465-bed off-campus student housing property to serve the University of Houston. The five-story community, which is being constructed on the former site of the Beall Village apartment complex, will offer one-, two- and four-bedroom units, as well as a parking garage, swimming pool, fitness room and fifth-floor overlook of the university campus. Centerpoint Builders is serving as general contractor on the project, and the design team includes 5G Studio Collaborative, Domus Studio Group and Kimley-Horn Associates. Campus Vue is Fountain Residential's second off-campus student housing property serving the University of Houston, the first being Vue on MacGregor, which is fully pre-leased for the fall semester of 2015. The two-story seniors housing facility, which will feature a movie theater, salon, spa and four different dining venues, is slated for completion in the first quarter of 2015. PLANO, TEXAS -- Mainstreet, Greenbrier Development LLC and Adolfson & Peterson Construction have commenced construction of a new 100-unit, 66,500-square-foot seniors housing property in Plano. Designed by PRDG Architecture, the two-story facility will feature a community room, movie theater, salon, fitness center, game room, spa and four different dining venues. Ninety percent of the community's apartments will be one-bedroom, private-bath residences. Indiana-based Mainstreet and Dallas-based Greenbrier are partnering on the development, while Adolfson & Peterson Construction is serving as general contractor. 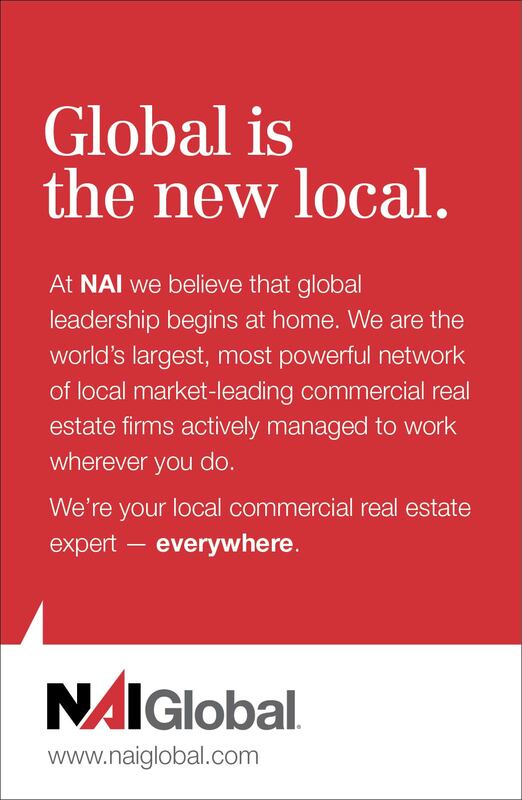 The Ensign Group will operate the soon-to-be-named property upon its completion in the first quarter of 2015. To be located on the corner of Scyene Road and Hatcher Street, the new facility will total 44,300 square feet. DALLAS -- Frazier Revitalization Inc., Parkland Health & Hospital System and BOKA Powell have broken ground on a new $19.8 million, 44,300-square-foot outpatient clinic in the Fair Park area of Dallas. The facility, to be located on a seven-acre site on the corner of Scyene Road and Hatcher Street, will serve geriatric and behavioral health patients in addition to providing on-site diagnostic imaging and lab services. The property, which will meet the city's Green Building guidelines, will be situated adjacent to the Hatcher Station of the Dallas Area Rapid Transit (DART) system. 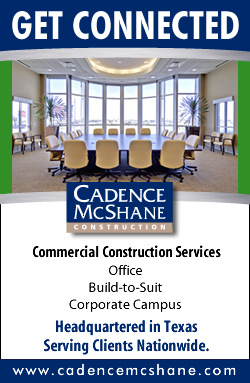 Construction is slated for completion in the first quarter of 2015. NewcrestImage LLC owns and manages the property, the first Homewood Suites by Hilton in the Midland/Odessa area. 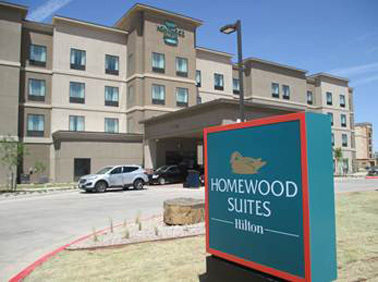 MIDLAND, TEXAS -- A new 118-suite Homewood Suites by Hilton has opened in Midland. The first Homewood suites property in the Midland/Odessa area, the four-story, extended-stay hotel is located at 1401 Tradewinds Blvd., in proximity to Midland International Airport and several major oil and gas company facilities. 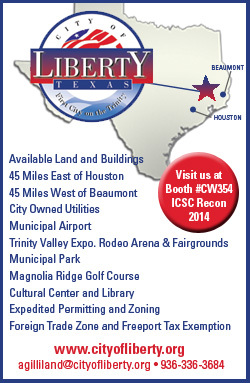 NewcrestImage LLC owns and manages the hotel. Dura-Tech Processes Inc., a provider of wear- and corrosion-resistant plating, occupies the property. ARLINGTON, TEXAS -- Bob Moore Construction has completed a new 57,000-square-foot industrial facility in Arlington for Dura-Tech Processes Inc., a provider of wear- and corrosion-resistant plating for the manufacturing and material handling industries. The property features a custom-engineered containment system, extended catwalk to provide access to elevated equipment, interior loading dock, backup generator and employee locker room. 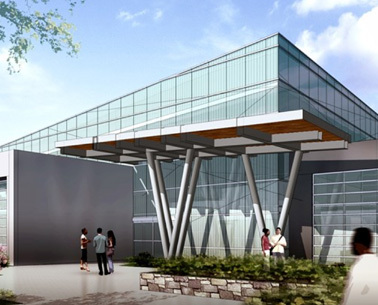 Bob Moore Construction served as general contractor on the project, and Alliance Architects worked as the architect. 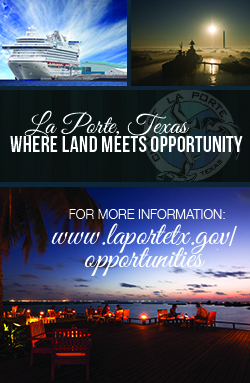 Country Estate Apartments, located at 3720 Brookside Drive in Corpus Christi, includes 110 apartment units. 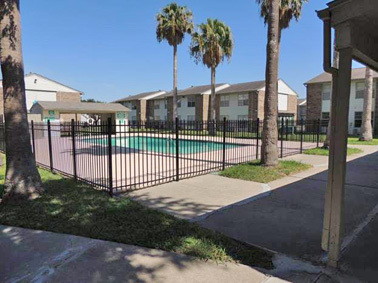 CORPUS CHRISTI, TEXAS -- Marcus & Millichap has brokered the sale of three multifamily properties totaling 295 units in Corpus Christi. 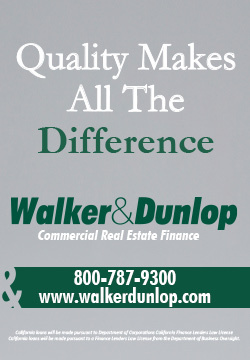 The complexes include the 96-unit Woodlake Apartments at 1901 Rodd Field Road; the 89-unit Bluff Manor Apartments at 2360 Waldron Road; and the 110-unit Country Estate Apartments at 3720 Brookside Drive. 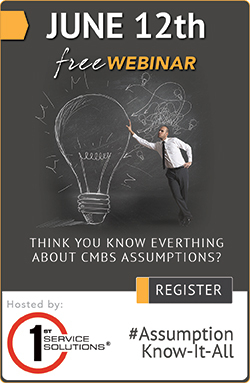 Jeff Smith of Marcus & Millichap marketed the assets on behalf of the seller, a limited liability company, and also procured the buyer, another limited liability company. 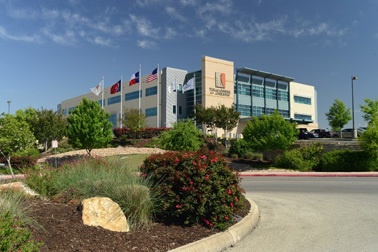 Constructed in 2006, the Texas Center for Athletes is a four-story, Class A property. 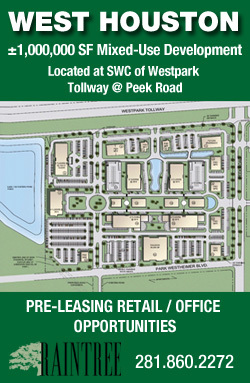 SAN ANTONIO -- Transwestern has brokered the sale of Texas Center for Athletes, a 128,347-square-foot medical office building in San Antonio. Located at 21 Spurs Lane within the South Texas Medical Center, the four-story, Class A property was 98 percent leased at the time of the sale. Built in 2006, the facility includes a surgery center, pharmacy, therapeutic spa and on-site deli. Alan Grilliette and Russell Noll of Transwestern represented the seller, Sports SA Holdings LP, in the transaction. A subsidiary of Senior Housing Property Trust acquired the asset and retained Transwestern to lease the building. Located at 9136 Viscount Row, the industrial property features two dock-high doors and is in proximity to Loop 12 and State Highway 183. 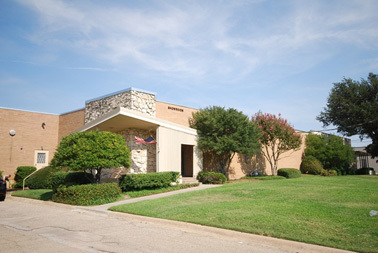 DALLAS -- Mercer Co. has brokered the sale of a 37,530-square-foot industrial property in Dallas. 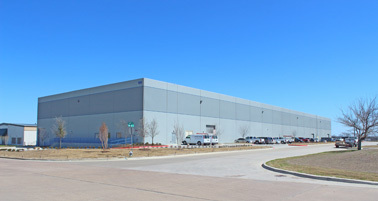 Located at 9136 Viscount Row, the distribution facility features two dock-high doors and is in proximity to Loop 12 and State Highway 183. Jeremy Mercer of Mercer Co. represented the seller, Eric Hohn, in the transaction. 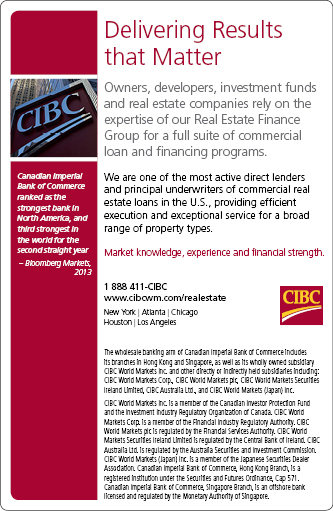 Alfred Goh of KC Cheah & Pacific Realty represented the buyer, FL Shih Investment Corp.